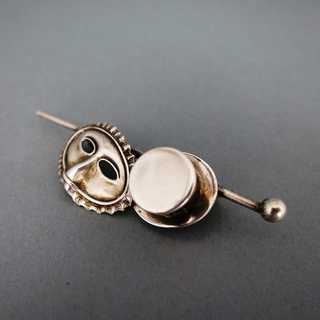 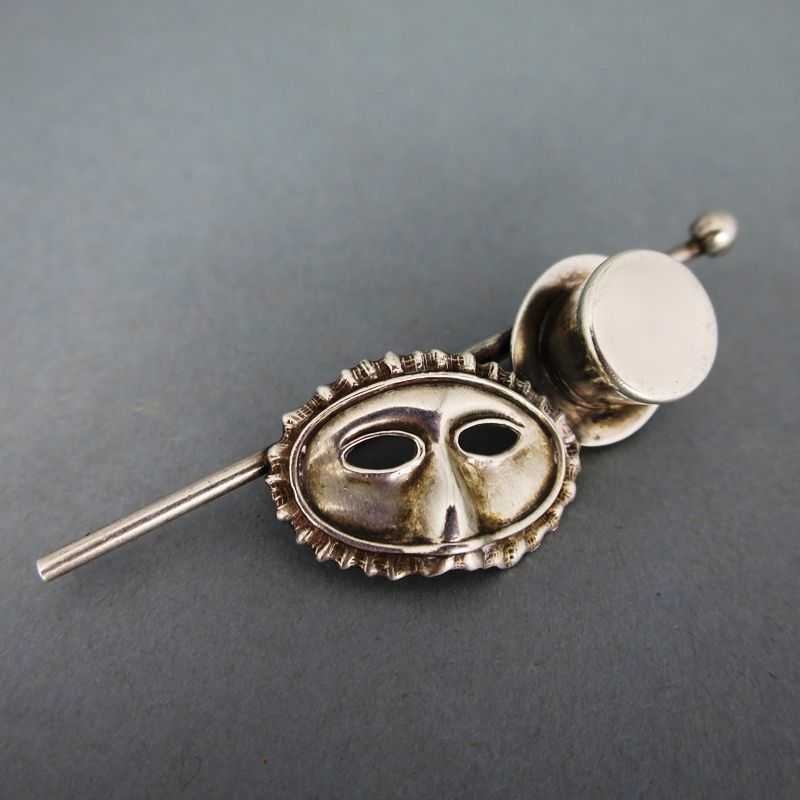 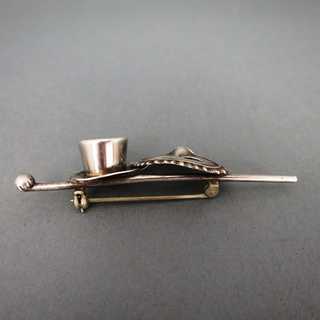 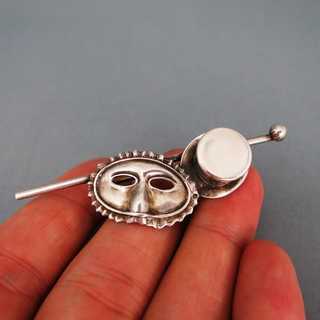 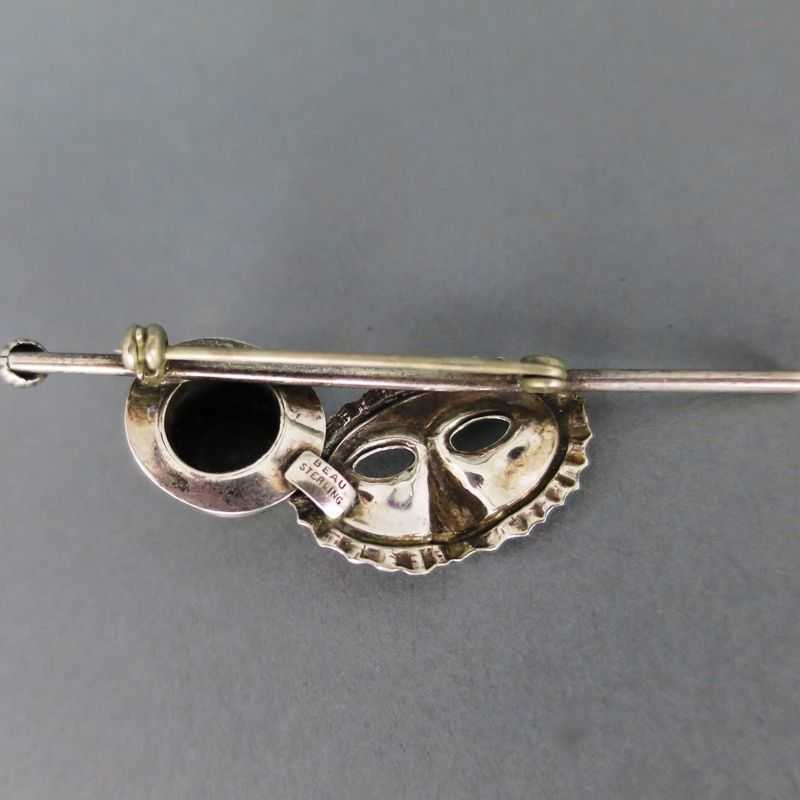 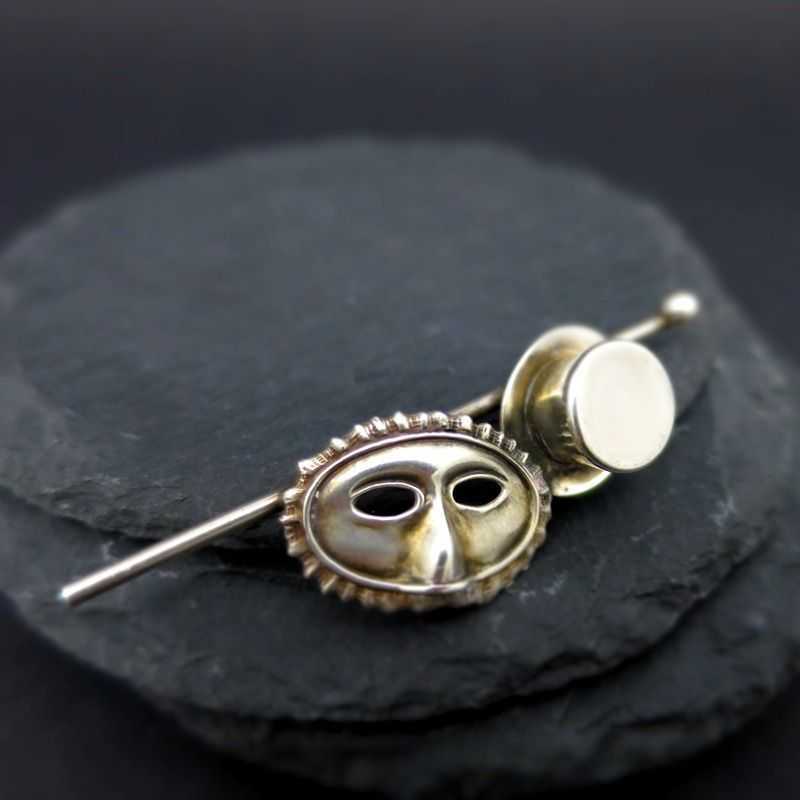 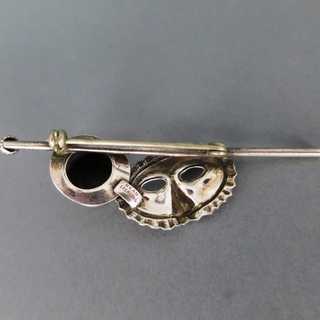 Elegant brooch with theater symbols: a top hat, a mask and a walking stick with spherical handle. Back side with needle closure. 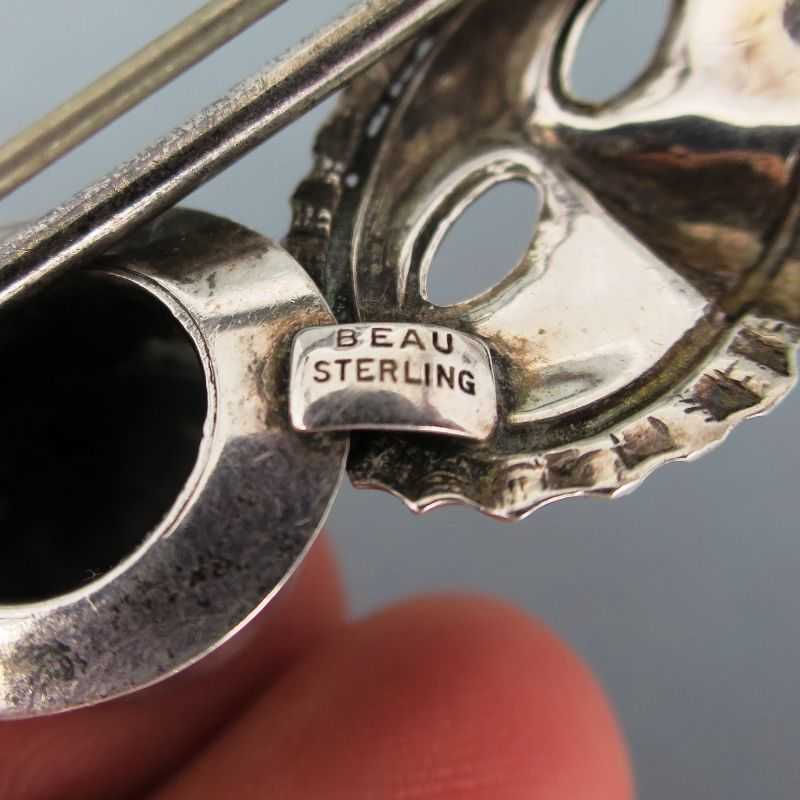 Marked, made by Beaucraft Jewellery in Providence, USA, appr. 1960.